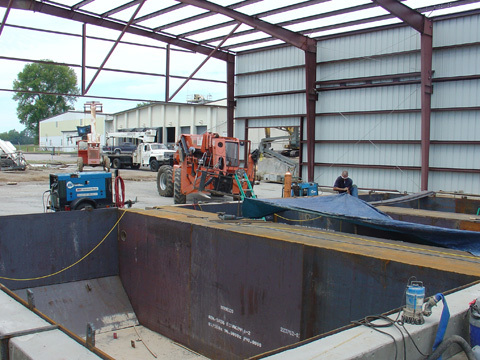 Brooks Engineering Associates worked closely with VLS Recovery Services of SC to design a new waste solidification facility for their Mt. Pleasant TN plant. The waste solidification facility processes sludges and other untreatable liquid wastes to make them admissible to a solid waste landfill. The new solidification facility was a retrofit at the existing processing plant in tight quarters.